Today we continue our conversation on the Connector’s Path. 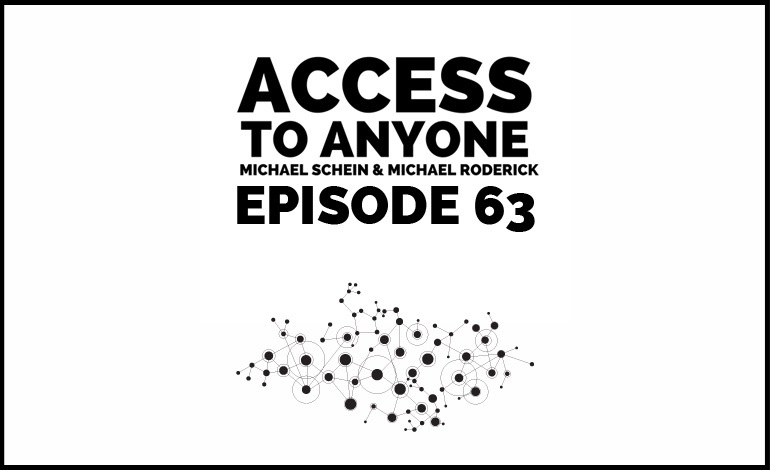 We not only reveal the pivotal step to becoming a power connector, we explore another one of co-host Michael Roderick’s foolproof concepts. Asking your connections for what you need without damaging the relationship is one of the toughest skills to master. Luckily, we’ve figured out how to do it. In truth, there are four different levels or types of asks anyone can make. It’s called the DIME concept, and it is the golden ticket to getting what you want without offending your connections. Today we show you how it works.